Vitamin C, also known as ascorbic acid, is essential for the growth, repair, and development of all body tissues. It plays a key role in many bodily functions including the formation of collagen, absorption of iron, functions of the immune system, and the maintenance of bone health. Its antioxidant properties allow this Vitamin to protect the body against damage caused by free radicals *, toxic chemicals, and pollution. Unlike most other mammals, the human body is not capable of making Vitamin C itself, and so must be ingested via food or supplements in the form of tablets, capsules, drink mixes, and crystalline powders. Because Vitamin C is not stored in the body and excess amounts are secreted, there is no danger of overdose, making it one of the safest supplements to take. 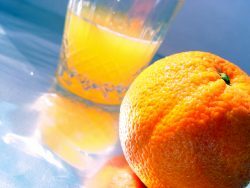 If too much Vitamin C intake happens to occur, symptoms such as stomach irritation, nausea, and diarrhoea may be present. Vitamin C deficiency is rare, and can lead to scurvy in extreme cases, which is a condition characterized by dry skin, weakness, anaemia, bleeding, bruising, gum disease, and loose teeth. 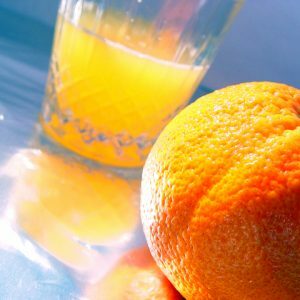 Studies show that the average person does not consume enough Vitamin C from their diet, so supplements may be required. The recommended daily intake is: Women: 75mg, Men: 95mg, Children 9 – 13: 45mg, Children 4 – 8: 25mg, Children 1 – 3: 15mg, Infants 7 – 12 months: 50mg, Infants 0 – 6 months: 40mg, Pregnant women: 85mg, and Breastfeeding women: 120mg. *Free radicals are molecules that are formed when chemical bonds split in such a way that the molecule is left with an odd, unpaired electron, making it unstable. The molecule then ‘attacks’ the nearest molecule ‘stealing’ its electron, and making the ‘attacked’ molecule a free radical in itself, causing a chain reaction resulting in the disruption of a living cell. Free radicals can be produced in normal bodily functions, but external factors such as pollution, cigarette smoke, radiation, and herbicides can also spawn free radicals. The body is usually able to deal with these free radicals, but if antioxidants are unavailable, the production of these molecules becomes out of control, causing cell damage, and often resulting in conditions like arthritis, heart disease, and cancer.